Creating a presence on Social Media can be the best thing you ever do for your small business; however, you should keep in mind that to be successful on social media takes time, dedication and a lot of experimentation if you’re new to the game. Social Media is now regarded as one of the best ways to advertise your business, with millions of users each day, your potential reach really is huge. What’s even better, is that you can keep control of how much you are spending on advertising, and even monitor this amount daily as people engage with your adverts. There are many platforms now for businesses to use for their advertising, including those at the top- Instagram, Twitter, Facebook, and LinkedIn. Depending on your business, depends on which of these platforms will work the best for you, some businesses utilise them all successfully, whereas others prefer to stick to Facebook or Instagram mainly for their promotional adverts. Facebook is a great platform for those businesses selling a product or service, as the platform allows its users to create personalised and specific adverts, which can be targeted to a specific age group, gender or area. If your business is selling a fashion or lifestyle product, then you might find that Instagram is the best platform for you, as the power of hashtags really is immense! Before you decide which platform is best for your business, we strongly advise setting yourself some (achievable) goals first. What do you want from the advertising? How much do you want to spend on it? How many followers do you want to attract per month? How many sales or leads do you want from your adverts per month? Remember, going crazy and setting yourself unrealistic goals will, 99% of the time, lead to disappointment. Make sure your goals are real, make sure you can achieve them successfully; start slow and steady and work your way up. This way you won’t be left disappointed, and also, you can monitor the progress much more easily until you get used to using the platforms’ reporting tools. When creating your businesses adverts, it really is vital that you remain authentic and original. Take a moment to think of how many other businesses out there are selling a similar product or service to yours, there could be hundreds, right? Even thousands? So, why should customers choose to use your business over any of these others? Your ads must sell your product and service as original to your business, not simply a copy of what someone else is doing; let your potential customers know what extras they will be getting from using your business. These could be things such as authenticity, honesty, reliability, quality customer service, a product or service at a more competitive price; if you want to be successful, there must be something that makes you stand out from the rest. Before you create any adverts you also want to start thinking about who your audience is- who are you aiming your products and services at? You might find yourself with a few target audiences, which is great, as this gives you the opportunity to create several different adverts, each targeted to a different group of people, which will allow you to see who engages with and buys in to your business the most. One of the most important things to remember about adverts on Social Media is that they need to be attractive. They need to catch the eye and attention of the user as they are scrolling through, this is why you will find when it comes to Social platforms, pictures speak louder than words. For example, recently we came across a PPI advert that used a picture of a very attractive beach, the simple one line of text – ‘Where will your PPI refund take you?’ – accompanied with the picture made for a very powerful and successful ad. So, remember, think outside of the box when it comes to creating your adverts and you will experience much higher success rates. Engagement is another key to success on Social Media. If people comment on your ads then reply to them, if they inbox your page or account then reply as soon as you can; let your followers know you are real. Let them know a real person is managing these accounts and pages, someone who will respond to their queries and comments. Also, make sure you are on top of comments left on your ads at all times, as you will always find some people have nothing positive to say, hiding or deleting these comments is a good idea. Engaging with your customers, or potential customers, helps to create a Social Media community for your business, somewhere where these individuals will feel not only valued, but also respected. So, now you have an idea of how to get started with your advertising on Social Media. Like we said it takes a lot of time and a lot of hard-work and dedication, so you might want to appoint this as a full (or part) time job for someone within your business. 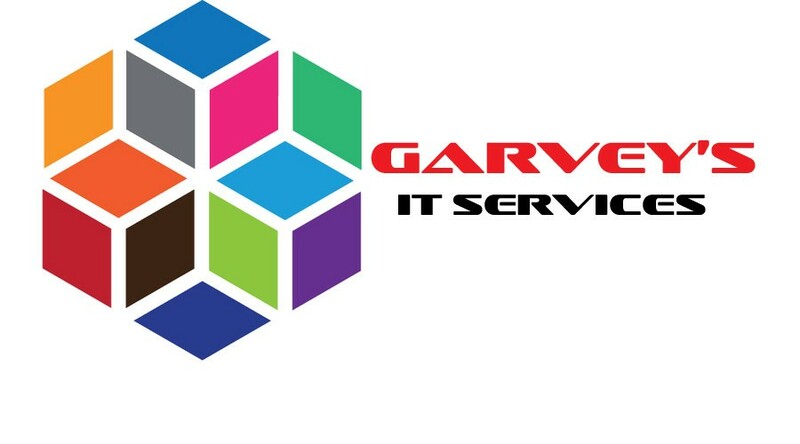 Or, if you aren’t able to do that right now, then Garvey’s IT will be happy to run your Social Media accounts and adverts for you under our Social Media Services. We have a great success rate, and if you want to find out more, then just drop us a mail today.